Administrative Law Judge Deidre L. Johnson (ALJ), Office of Administrative Hearings (OAH), State of California, heard this matter in Modesto, California, on September 24 through 26, and October 2 through 4, 2013. Attorney S. Diane Beall represented the Stanislaus Union School District (District). Dr. Kristen Elgen, District’s Assistant Superintendent and acting Director of Special Education Programs, was present throughout the hearing. Attorney Roger A. Greenbaum represented Student and Parents (collectively referred to as Student). Mother and Father each attended the hearing on a few days. Student was not present during the hearing. 1 For the record, District’s brief has been marked for identification as Exhibit D-55, and Student’s brief has been marked as Exhibit S-5. All other non-confidential documents filed with OAH in this matter, including OAH’s order dated November 19, 2013, granting an extension, are part of the official record even though they have not been marked in evidence. 3 District’s original wording of this issue included the question whether the assessment was “appropriate.” However, the ALJ has changed the wording consistent with the legal requirements. This change of wording does not change the issue. 2. Beginning with the April 11, 2013, individualized education program (IEP) team meeting, is Student no longer eligible for special education and related services? District contends that its triennial assessment of Student, conducted prior to an IEP team meeting on April 11, 2013, complied with all legal requirements and appropriately assessed her in all areas related to her suspected disabilities. Student contends that District’s triennial assessment did not comply with the law because the tests were not conducted using her native language, Pashto. Student also claims the assessment must be invalidated because District failed to disclose mandatory information to Parents in connection with her right to an independent educational evaluation (IEE). Student contends the academic portion of the assessment must be invalidated and/or the assessor’s testimony must be stricken because District refused to disclose assessment protocols used to interpret test scores. This Decision finds that District’s triennial assessments complied with the law and appropriately assessed Student. It finds that her objections and defenses did not invalidate the assessments. District contends that, beginning with the triennial IEP team meeting on April 11, 2013, Student is no longer eligible for special education and related services. Student claims the eligibility determination at that meeting must be invalidated due to procedural error, in that Parents were denied meaningful participation in the IEP decision-making process because they were not provided with the assessment reports in advance of the IEP team meeting as requested. Student claims the District did not meet its burden to establish that she is not eligible for special education and related services and she remains eligible under the category of Autistic-Like Behaviors. This Decision finds that Student is no longer eligible for special education because her autism-related behaviors do not rise to the level that meets the narrow criteria for this educational disability and, even if she met that criteria, Student does not now require specialized education, behavioral supports, or a behavioral aide or tutor. In addition, she is not eligible under the category of Speech and Language Impairment and never was eligible under the category of a Specific Learning Disability. 1. Student was six years old during the hearing, and is now seven-years-old. She resides with Parents within the jurisdictional boundaries of the District. When Student was two years and two months old she was medically diagnosed with autism by the Kaiser Permanente Autism Spectrum Disorders Clinic, and was also diagnosed with asthma. In March 2009, the Valley Mountain Regional Center (Valley Mountain) conducted a speech and language evaluation which indicated Student also had severely delayed communication skills. Beginning in April 2009, Valley Mountain provided her about 15 hours a week of Early Start Autism Intervention Program services. 4 A SELPA is often several school districts that pool their resources to coordinate services for special education students in the districts. Some school districts are their own SELPA, which is a separate entity from the district’s special education division. 5 District presented evidence that Student’s secondary category of eligibility listed in her IEP’s, beginning in 2009, should have been Speech and Language Impairment, not Specific Learning Disability. 3. In November 2009, Student was initially found eligible for special education and related services in the District under the primary eligibility category of Autistic-Like Behaviors and under the secondary category of a Specific Learning Disability.5 The services provided by BEST continued and included one-to-one intensive behavioral treatment, play dates, community outings, preschool, and mock kindergarten. For the 2011-2012 school year, Student attended preschool in a Head Start class until May 2012. In June 2012, she attended a mock kindergarten class at BEST three days a week for three hours per day. 4. For the 2012-2013 school year, beginning in August 2012, Student attended a general education kindergarten class in the District for six hours a day. She was accompanied by an aide, referred to as a “tutor” from BEST and continued to receive Early Intensive services. At the time of the hearing, Student was attending a general education first grade class for the 2013-2014 school year in the District with a tutor from BEST. 5. Special education pupils must initially be assessed before receiving specialized educational services and must be reassessed at least once every three years, unless the parent and the school district agree otherwise. An IEP team meeting to review the assessment must generally occur within 60 days of receipt of parental consent for any special education assessment, except for specified excluded days. 6. District held an IEP team meeting on August 10, 2012, to address Student’s transition from preschool at BEST to District’s kindergarten class at an elementary school. That IEP provided that Student would begin to attend a regular kindergarten classroom on August 14, 2012, with continued individual services from BEST. The IEP documents reflected the date of November 15, 2012, as District’s next intended IEP team meeting and the parties understood this would be Student’s triennial IEP meeting. Parents consented to the IEP. 7. In order to prepare for the November 2012 triennial assessment of Student and the related IEP team meeting, District provided Parents an assessment plan dated September 28, 2012, proposing to assess Student in multiple areas. A bold printed notice on the bottom of the form stated: “Assessment cannot begin until a copy of this form has been signed by the Parent.” Father did not provide his written consent to the assessment plan until January 31, 2013, after he had obtained District’s agreement to Parents’ condition for assessment, which was that one or both Parents needed to be present when assessment tests were administered. 8. The time period in which to complete the assessment and hold the triennial IEP team meeting therefore ran from January 31, 2013. Absent evidence of excluded days, District should accordingly have completed the assessment and held an IEP team meeting no later than April 1, 2013. Here, the evidence showed that Father consented to the scheduling of the IEP meeting on April 11, 2013. In addition, the assessors, who testified credibly, explained that there were complications in scheduling the assessments because Father was often unavailable due to his work schedule and District had agreed to Parents’ request to be present during the assessments. The triennial assessment was completed in time for the IEP team meeting held on April 11, 2013. 9. Based on the foregoing, District did not commit a procedural violation by not completing Student’s assessment in November 2012, and by completing Student’s assessment and holding her triennial IEP team meeting on April 11, 2013. The delays were caused by Parents’ reluctance to consent to the assessment and negotiations, and by scheduling delays in complying with Parents’ request to be present. Even assuming that a delay in holding the IEP meeting on April 11, 2013, constituted a procedural violation, the violation was harmless error because Student was not deprived of educational benefit as she attended school during that period and received all special education services provided for in her operative IEP. In addition, Parents did not establish that their rights to participate in the IEP process were significantly impeded during that time frame as they negotiated conditions for the assessment. 10. Assessments must meet many specific legal requirements in order to be considered valid. No single procedure may be used as the sole criterion for determining whether the pupil has a disability or an appropriate educational program. 11. First, the pupil must be assessed in all areas related to his or her suspected disability. Student’s IEPs showed her primary category of eligibility for special education to be Autistic-Like Behaviors, and her secondary eligibility to be Specific Learning Disability. However, Regina Hedin, Director of the Stanislaus SELPA since 2005, testified persuasively that Student’s secondary category should have been listed as Speech and Language Impairment instead. Prior to hearing, Ms. Hedin reviewed Student’s IEPs and the Early Intervention assessment report dated October 22, 2009, from the Stanislaus County Office of Education. The assessment documented that Student’s communication skills were significantly delayed and below her age level. In contrast, she scored in the low average range of cognitive development and scored academically at or above her peers. 12. Ms. Hedin obtained a bachelor’s degree, a multiple subject teaching credential from the State in 1982, and a clear administrative services credential in 1998. She has many years of experience in special education in various capacities as a teacher and administrator, including working in the District, the County Office of Education, and the Stanislaus SELPA. Because Student’s IEP’s designated her secondary category of eligibility as Specific Learning Disability, Ms. Hedin consulted with Student’s previous Stanislaus SELPA case manager, Chris Crone. Mr. Crone told her he had checked the wrong box at the IEP team meeting on November 18, 2009, which resulted in Student’s secondary disability being listed as Specific Learning Disability when it should have been Speech and Language Impairment. 13. Based on her years of training and experience, Ms. Hedin was persuasive that Student’s prior assessment data did not support finding that Student ever had a severe discrepancy between a higher cognitive level and a lower academic performance level as required to find a Specific Learning Disability. Rather, the 2009 assessments showed the reverse: Student had academic skills that exceeded her then-assessed cognitive range. That assessment also showed Student demonstrated significant delays in both her expressive and receptive language skills. Student’s annual goals in her 2009 IEP included several expressive and receptive language goals; and BEST’s additional goals included numerous pages of expressive, receptive, functional, and pragmatic communication-based goals. Moreover, Parents had no understanding or recollection of any information from the District as to a Specific Learning Disability, but consistently expressed concerns about Student’s delayed communication skills. Student’s subsequent IEP’s continued to contain goals addressing her communication delays although they also continued to mischaracterize her secondary disability. 14. District’s September 2012 triennial assessment plan proposed to assess Student in the areas of academic achievement, social/emotional, behavioral, psychomotor development, communication development, intellectual/cognitive development, health/developmental history, by using assessment tests and observations. These areas constituted all known areas related to her suspected disabilities of Autistic-Like Behaviors, Specific Learning Disability, and Speech and Language Impairment. The category of Autistic-Like Behaviors includes communication deficits as well, including an inability to use oral language for appropriate communication, a history of extreme withdrawal or relating to people inappropriately, and impairment in social interactions and pragmatic communication. The category of Specific Learning Disability was also a known suspected category of disability because it had been listed on her IEP since 2009. Cognitive ability and academic performance relevant to that disability were covered in the psychoeducational and academic assessments. In addition, behaviors associated with autism were the target of District’s proposed assessments of Student’s social, emotional, and behavioral development. Student did not point to any area related to her suspected disabilities that was not proposed to be assessed or was not assessed. 15. District’s triennial psychoeducational assessment of Student was conducted by Andrea Foo Harris, one of District’s school psychologists. Ms. Harris obtained a bachelor’s degree in 1994, and a master’s degree in education and psychology in 2002. She obtained a pupil personnel services credential from the State of California in 2005, which permits her to be a school psychologist, and has over nine years of experience in that capacity. She has received on-going annual training in assessments, including those for autism, and has conducted approximately 800 special education assessments in her career, including about 25 for pupils with suspected Autistic-Like Behaviors. Ms. Harris was qualified to conduct this assessment. 16. In mid-March 2013, prior to the formal psychoeducational assessment, and prior to reviewing Student’s educational records, Ms. Harris observed Student for about an hour, both in her general education kindergarten classroom and at recess to obtain an independent impression of her. On the playground, Ms. Harris observed that Student interacted with many other pupils, initiated conversations with boys and girls, played on the equipment, and seemed happy. In class, Student was “a bit” distracted as Father was visibly present during her observation. Overall, Student participated in the class activities calmly and attentively. 17. Some of the test instruments used for a psychoeducational assessment may be compromised if a parent is present during the assessment. Ms. Harris conducted the formal assessment of Student on March 14, 2013, in a conference room with a window, with Student’s back to the window. Father was placed outside the room, peering in the window. In this fashion, Father visually saw Student and heard Ms. Harris and Student talk, and thus observed the assessment without being seen and without Student knowing Father was present. Ms. Harris assessed Student in one session in order to accommodate Father’s work schedule to permit him to be present, although she would otherwise have used multiple sessions of shorter duration due to Student’s age. During the assessment, Ms. Harris observed Student to have appropriate eye contact and to be cooperative. 18. Ms. Harris administered the following assessments in the English language: the Wechsler Intelligence Scale for Children, Fourth Edition (Wechsler); the Test of Auditory Processing Skills, Third Edition (Auditory Processing); Developmental Test of Visual Motor Integration, Fifth Edition (Visual Motor); Developmental Test of Visual Perception, Fifth Edition (Visual Perception); the Vineland Adaptive Behavior Scales, Second Edition (Vineland); the Behavior Assessment for Children, Second Edition (BASC); the Gilliam Autism Rating Scale, Second Edition (Gilliam); and the Childhood Autism Rating Scale (CARS). In addition, she reviewed Student’s records and interviewed Student and Father. Student claims that these tests should have been administered using Pashto, Parents’ native language. However, as is discussed below, District did not err in administering its tests to Student in English. 6 Ms. Harris was aware Student had previously shown deficient to low average cognitive ability and an uneven learning profile when she was two and three years of age. Ms. Harris verified with Student’s teacher, Mrs. Bonnie Halsey, that Student, at age six, had strong academic skills. 20. The Auditory Processing test assesses a pupil’s auditory skills needed for the development, use, and understanding of language for children of ages four through 18, and was an age-appropriate instrument. It utilizes both nationally normed standardized scores and scaled scores for the subtests. Standardized scores from 80 to 89 are in the low average range, and Student received an overall index score of 88, at the high end of the low average range, suggesting an auditory processing deficit. Therefore, she would benefit from visual cues to assist her in learning. On the scaled subtest scores, a score from eight to 12 is within the average range. Ms. Harris found Student’s low scaled score of a five, in the below average range on the auditory reasoning subtest, showed a “severe weakness” in her ability to understand inferences in spoken language. 21. On the Visual Motor, and the Visual Processing tests, Ms. Harris assessed Student’s visual-motor integration skills related to visual perception and motor coordination. Both tests are standardized for children from the age of three through over 17 years. The Visual Motor test consists of geometric forms to be copied by the pupil without erasing, and is scored based on normed criteria for developmental sequences. The Visual Processing test shows the pupil a geometric form that is to be selected from a series of forms, in sequences. Ms. Harris established that Student scored in the average range on both tests. 7 It is not necessary to resolve the discrepancies in scoring results on any of these surveys in order to determine whether District’s assessments complied with the law. Rather, the differing survey results are relevant to the issue of eligibility. 23. The BASC rating scales are used to assess a pupil’s behaviors and self-perception, and are appropriate for those aged two to 25 years old. The BASC uses “T-scores” with 50 as the mean score in two scale levels. On the Clinical scales, a score over 69 is deemed to be clinically significant; and on the Adaptive scales, a score below 31 is deemed to be clinically significant. Mrs. Halsey completed the teacher survey, and Parents (Father and/or Mother) completed the parent survey. On the Adaptive scales, Mrs. Halsey rated Student in the average range, whereas Parents rated Student in the at-risk range in most areas. On the Clinical scales, Mrs. Halsey rated Student’s behaviors in the average range, whereas Parents’ scores were much higher, placing Student in the at-risk range for a number of items including conduct problems and somatization, and in the clinically significant range for withdrawal. 24. The Gilliam is another rating scale, which is used to assist in the identification and severity of autism based on the criteria adopted by the Autism Society of America and the Diagnostic and Statistical Manual of Mental Disorders, Fourth Edition – Text Revision (Diagnostic Manual).8 Ms. Harris distributed this test to both Mrs. Halsey and Parents, and scored the results as directed by the test, where a score of 69 or less means the subject is unlikely to be autistic; a score of 70 to 84 means possibly autistic, and a score of 85 or higher means the subject is very likely autistic. Mrs. Halsey’s scores rated Student as “unlikely” to be autistic in three subtest areas of stereotyped behaviors, communication, and social interaction, with an overall autism index score of 53. Mrs. Halsey reported she frequently observed only two possibly autistic-like behaviors: Student would stare at an item in the environment for at least five seconds, and use pronouns incorrectly. In contrast, Parents rated Student as very likely autistic in all areas, with an autism index score of 91. They reported that they frequently observed Student engage in a variety of autistic-like behaviors such as whirling, spinning objects, avoiding or resisting eye contact, resisting physical contact, withdrawing, lining objects up in precise order, staring at an item for at least five seconds, and laughing, giggling, or crying inappropriately. 8 Effective July 1, 2013, the Diagnostic Manual was replaced by a fifth edition. 26. With respect to all of the above assessment tests, Ms. Harris established that she followed each test publisher’s instructions and protocols in administering each test to Student, recorded her scores or answers, and used the scoring instructions, formula, and/or software to compute the scores. Ms. Harris was persuasive that Student did not know her Father was present from beyond the conference room window, and that Father’s presence in that fashion did not impact the validity of the assessment. Ms. Harris established that Student’s primary language, racial, and ethnic background were considered when she selected the test instruments and that the test results were valid and not due to cultural, environmental, or economic factors. 27. The law requires the personnel who assess the pupil to issue a written report of the results of the assessment, which must include whether the pupil may need special education and related services and the basis for making the determination, among other components. 28. Ms. Harris issued a written psychoeducational assessment report dated April 11, 2013, which reported and summarized her above assessment findings. However, in the report, Ms. Harris deferred any opinion or recommendation regarding Student’s continued eligibility and need for special education to Student’s IEP team. Ms. Harris did not discuss the requirements for eligibility for special education under Autistic-Like Behaviors or Specific Learning Disability even though both of those categories were on Student’s operative IEP for purposes of the triennial assessment. She did not correlate any particular assessment tests or scores to any of the seven or more autistic-like criteria. These criteria include inability to use oral language for appropriate communication, continued impairment in social interaction, obsession to maintain sameness, extreme preoccupation with or use of objects, extreme resistance to controls, motoric mannerisms, or self-stimulating, ritualistic behavior. 29. Nor did Ms. Harris correlate any of her assessment results to the criteria for a learning disability, or even discover, in the course of her assessment, that designation of this category of eligibility for Student was patently incorrect. Ms. Harris was not entitled to ignore one of Student’s designated disabilities in conducting the triennial assessment. Since the existence of a learning disability legally requires finding a disorder in one or more of the basic psychological processes involved in understanding or in using language, this assessment was the province of the school psychologist. Ms. Harris did not discuss Student’s auditory processing weakness in that context in the report. In addition, since this category also requires a severe discrepancy between cognitive ability and academic achievement, Ms. Harris should have discussed the findings of the academic assessment to make the correlation, none of which was addressed in the psychoeducational assessment report. 30. Ms. Harris did make recommendations in her report for actions District personnel could consider taking to assist Student in accessing her education, as follows: delivering instructional content and explanations clearly, and at an appropriate pace for Student; supplementing auditory instructions and activities with a lot of visual aids; making sure Student is paying attention before giving directions; encouraging her to repeat instructions; playing games that build from parts to whole, such as Lego or puzzles; and providing frequent check-ins with an adult for on-task behaviors. 31. District committed a procedural violation in issuing its triennial psychoeducational report for Student without complying with the legal requirements for a mandatory analysis of Student’s eligibility for special education in the report itself. Ms. Harris’ decision to defer that discussion to an oral discussion at the IEP team meeting denied all IEP team participants, including Parents, the ability to read and review her opinion as to Student’s eligibility and the basis for that determination as required by law. However, a procedural violation must result in loss of educational opportunity in order to be found to deny Student a free appropriate public education (FAPE). As found below, since Student is no longer eligible for special education, she is not entitled to a FAPE under special education law. In addition, Ms. Harris did provide her opinion both at the IEP team meeting and at hearing and cured the error. Therefore, the procedural violation must be found to be harmless error and did not deny Student a FAPE. 32. District’s triennial academic assessment of Student was conducted by Kathi Ellis, a special education resource specialist with the District for the past four years. Ms. Ellis has worked in the special education field for 12 years, and was a special education teacher with the District for five of those years. Ms. Ellis obtained a bachelor’s degree in education and holds a teaching credential from the State that entitles her to teach pupils with mild to moderate disabilities. She previously also held a teaching credential for moderate to severely handicapped pupils. Autism-related training was imbedded in the course work Ms. Ellis studied for each credential. In addition, her years of experience as a special education teacher included teaching over 10 pupils identified with IEP’s based on Autistic-Like Behaviors. As a resource specialist, Ms. Ellis conducts about 20 to 30 academic assessments yearly and was qualified to conduct Student’s assessment. 9 Ms. Ellis’ academic assessment report was incorrectly dated based on using an earlier 2010 report as a template and should have been dated for April 11, 2013. 34. Ms. Ellis administered the following assessments: the Test of Early Reading Ability, Third Edition (Reading); the Test of Early Written Language, Second Edition (Writing); and the Test of Early Mathematics Ability, Third Edition (Math). All three tests were administered in the English language, and utilized standardized scores as well as scaled scores. Standardized scores were based on a mean or average of 100: above average ranged from 111 to 120; average ranged from 90 to 110; below average ranged from 80 to 89; poor ranged from 70 to 79; and very poor was from 35 to 69. Student scored an 89 as her overall Reading score with an overall grade equivalent of K.2, or the second month of kindergarten. On the alphabet portion of the Reading test, Student scored at a grade equivalent of 1.2, or first grade and two months, and at a grade equivalent of first grade on the conventions portion; although she had a low scaled score in the area of meaning. Student had a score of 104, in the average range, on the global Writing test, and had a score of 98, in the average range, on the Math test. 35. For all three academic tests, Ms. Ellis followed the instructions and protocols provided by the publisher, recorded Student’s answers on the written examination booklet pages provided in the tests, and tallied the scores according to the protocols. Ms. Ellis was confident that the tests were appropriate for Student’s age as the age ranges were listed in the tests, and found the test results to be valid and reliable. Ms. Ellis was equally confident, and persuasively established, that Parents’ presence was not known to Student and had no effect on her performance during the testing on both days. 36. Student established at hearing that Ms. Ellis’ report was shallow and deficient in some areas. For example, there was no report or analysis of Student’s actual performance in academic or preacademic subjects in her kindergarten classroom. Nor was there an analysis or comparison of Student’s scores in the areas of English Language Arts, Writing and Math on the California English Language Development Test (CELDT) administered by the District to English Learner pupils, including Student, in the fall of 2012. There was also no report, analysis or comparison of Student’s academic classroom tests administered by Mrs. Halsey. None of these factors, relevant to an evaluation of Student’s academic functioning as of April 2013, was mentioned in the report. 37. Ms. Ellis was only charged with evaluating one factor involved in Student’s eligibility during the assessments: academic performance. The law requires the use of standardized testing instruments in evaluating the existence of a severe discrepancy between cognitive ability and academic performance for a Specific Learning Disability. Ms. Ellis did not need to look at other scores in order to comply with that law and she did use standardized assessment tests. However, the report should have included some discussion of Student’s actual academic performance in the classroom. This information would have assisted the team in the development of new goals, had Student remained eligible. Ms. Ellis’ decision to defer that discussion to an oral discussion at the IEP team meeting denied the IEP team participants, including Parents, the ability to read and review her opinion as to Student’s academic abilities. 38. On balance, it is found the inadequacies in this report did not rise to the level of a procedural violation. Even if there were a procedural violation, it did not result in denying Student a FAPE. Since Student is no longer eligible for special education, she is not entitled to a FAPE under special education law. In addition, Ms. Ellis did provide her opinion both at the IEP team meeting and at hearing and cured the error. Therefore, the procedural violation is be found to be harmless error and did not deny Student a FAPE. 39. District’s speech and language assessment of Student was conducted by Manda Hardy, District’s lead speech and language pathologist. Ms. Hardy obtained a bachelor’s degree in 1995, and a master’s degree in 1996, in communicative disorders. Following a clinical fellowship, she obtained a State license as a speech and language pathologist in 1997, and has over 16 years of experience in this field. Ms. Hardy also obtained a clinical certificate of competency in 1997 from the American Speech and Hearing Association. Ms. Hardy has had prior experience assessing pupils involving the eligibility criteria for Autistic-Like Behaviors, has been with the District since 2001, and was qualified to conduct Student’s assessment. 40. Prior to conducting the formal assessment, Ms. Hardy observed Student in a large group of 60 to 70 kindergarteners on the school playground during a morning recess but did not see any child in the group who displayed obvious autistic-like behaviors. Ms. Hardy was unable to pick Student out of the group based on that criteria and asked a teacher to identify Student for her. Ms. Hardy then reviewed Student’s cumulative school records including her IEP’s and prior speech and language assessment. 41. Ms. Hardy conducted Student’s speech and language assessment on March 15, 2013, in the same room where Ms. Ellis had conducted Student’s academic assessment, with Father hidden from view behind a folding screen. Ms. Hardy would normally have conducted the assessment over a couple of sessions with frequent breaks but did not because she understood Father was only available on that one date to observe the assessment. However, Ms. Hardy was confident Student did not know of Father’s presence during the assessment and that his presence had no effect on the validity or reliability of the assessment. 42. Ms. Hardy evaluated Student’s speech production and articulation informally during the assessment period, found Student’s speech mechanisms were adequate, and found her overall speech was adequately intelligible, with adequate voice and fluency. While Student demonstrated two slight articulation errors, she did not have reduced intelligibility or significant interference with her communication. 43. To assess Student’s language skills, Ms. Hardy administered the Expressive One Word Picture Vocabulary Test (Expressive); the Receptive One Word Picture Vocabulary Test (Receptive); the Test of Language Development, Fourth Edition (Language Development); and the Pragmatic Language Skills Inventory (Pragmatics). 44. The Expressive and Receptive tests are standardized tests of vocabulary skills and utilize 100 as the mean score with a scoring range of 111 to 125 as above average, 89 to 110 for average, and 73 to 88 as below average. Student scored solidly in the average range on each test, with a 94 on the Expressive test and a 95 on the Receptive test. 45. The Language Development test consists of six subtests of picture vocabulary, relational vocabulary, oral vocabulary, syntactic understanding, sentence imitation, and morphological completion, each of which has standard scores ranging from one to 20 (with 10 as the mean score), where 13 to 14 is above average, eight to 12 is average, six to seven is below average, and four to five is poor. Student scored in the average range with an eight (in the 25th percentile) in picture vocabulary. In all of the other subtests, Student scored in the below average range with a seven in relational vocabulary (in the 16th percentile), and a six in all other areas (in the ninth percentile). 46. The Pragmatics inventory is a teacher-rating survey to help identify children ages five through 12, with a pragmatic language deficit. Student’s kindergarten teacher, Mrs. Halsey, provided subscale ratings for Student in the areas of classroom interaction, social interaction, and personal interaction, which were all scored in the average range, and an overall pragmatic language index score of 110, also in the average range (with a range of 85 to 115 as average). 47. On all of the above assessments, Ms. Hardy established that she followed each test publisher’s instructions and protocols in administering the test to Student, including recording her scores or answers, and using the scoring instructions, formula, and/or software to compute the scores. Ms. Hardy issued a written assessment report which not only reported the assessment results but correlated those results to Student’s eligibility for special education under the Speech and Language Impairment category, an area within her expertise, and provided both her opinion and the basis for her determination. Ms. Hardy also determined that the assessment results were not affected by cultural, environmental or economic factors. The speech and language assessment and report were in compliance with the legal requirements. Ms. Hardy determined that Student did not meet the criteria for having a Speech and Language Impairment. 48. In connection with the IEP team meeting on April 11, 2013, BEST presented an Early Intensive Behavior Treatment update report regarding Student’s progress in the Early Intensive program related to her autistic behaviors. The report was an update to BEST’s quarterly report dated March 11, 2013. Although not considered an assessment, per se, it provided Student’s April 2013 IEP team with up-to-date information regarding her performance and progress on her myriad autism-related behavioral goals. 49. Jon Bruno, a board certified behavior analyst, is BEST’s senior clinical supervisor and oversees the work of about six other board certified behavior analysts and the tutors who work directly with BEST’s clients. The clientele range from 18 months to five or six years of age and all have autism spectrum disorders. Mr. Bruno has worked with Student and Parents since April 2009, developed Student’s Early Intensive goals, visited Student at home or school almost every week, reviewed the behavioral data collected by BEST’s tutors, and reviewed and approved the quarterly reports prepared by Iva Farris, Student’s case manager. Mr. Bruno obtained a bachelor’s degree in psychology in 2005, a master’s degree in psychology in 2010, and also obtained his certification as a behavior analyst in 2010. The certification is provided by a national organization and is recognized by most states, including California, requiring 1,000 to 1,500 hours of classes and training under the supervision of another certified behavior analyst. Mr. Bruno has been employed with BEST since 2008. 50. Ms. Farris, a board certified assistant behavior analyst, wrote Student’s quarterly and update reports subject to Mr. Bruno’s oversight and supervision, based on the data regularly collected by the BEST tutors and scanned into a computerized system. Ms. Farris directly supervised the tutors, reviewed their data, and observed Student at least once a week in his school setting. Ms. Farris obtained both bachelor’s and master’s degrees in psychology, with an emphasis in behavioral analysis, has completed the required hours to become fully certified, and just sat for the certification examination prior to the start of the hearing. Both Mr. Bruno and Ms. Farris signed BEST’s reports on Student’s progress. 51. The majority of BEST’s direct teaching with Student was done using discrete trial training on a one-to-one basis with a tutor, which involved repetitive drills of discrete steps required to master each skill targeted. In addition, the tutors have provided services to accompany Student daily at school to facilitate her appropriate classroom participation, play and social interactions in the school setting with other children and adults, and to also fade back to permit Student to engage independently in school activities. By October 2012, BEST recommended that, beginning in January 2013, a tutor unfamiliar to Student would be implemented at school one day a week, instead of a known tutor. That recommendation was adopted by the IEP team. The “blind” tutor observed Student unobtrusively, provided no interaction, prompting, assistance, or facilitation with Student, and took data regarding her ability to perform independently one day a week. The data revealed that Student did not regress or display any interfering autistic behaviors without the assistance of a tutor. This indicated that Student was performing independently and no longer required daily aide services. By March 2013, BEST recommended that its regular tutors be faded back on a schedule that increased the blind tutor’s presence to two days per week for the remainder of March, three days per week in April, and four days per week in May 2013. 52. By April 11, 2013, BEST reported that, in the area of social language, Student was performing at or above 80 percent of targeted benchmarks for appropriate eye contact, body posture when speaking and listening to someone, taking turns, responding to social questions, and remaining on topic. For example, Student’s eye contact goal was to maintain an 80 percent success rate and she exceeded it by scoring a 96 percent. She required little or no prompting to engage in appropriate play and social interaction skills throughout her play dates with peers. There were some goals Student did not meet. For example, she engaged in reciprocal play in 52 percent of opportunities (instead of 70 percent). While Student occasionally needed some assistance or prompting, the level was similar to that required by any of her typically developing peers in kindergarten as most kindergarteners require some prompting. For academics and school readiness, Student was performing at 80 percent of targeted benchmarks to follow her teacher’s instructions and participate in circle time activities. Although Parents only made Student available for two out of ten community outings over the past quarter, Student functioned appropriately in 80 percent of the opportunities except for following Parents’ instructions which was lower. 53. At the April 2013 IEP team meeting, BEST’s update report recommended, based on Student’s increased levels of independent academic and social functioning, that, should she remain eligible for special education, she would not require a regular tutor at all, and could be observed by a blind tutor four days per week for the remainder of April, and five days per week in May 2013, when the tutor services would be extinguished. It was the opinion of Mr. Bruno and Ms. Farris that the data demonstrated Student no longer needed a tutor or BEST’s behavioral services to support her at school. 54. Student contends that District’s triennial assessment must be invalidated in its entirety because the District failed to conduct the assessment tests in Pashto, Student’s primary language. Father testified that he believed the District would conduct Student’s assessments in Pashto because the September 2012 assessment plan expressly stated that Pashto was her “primary language/mode of communication.” Student also claims the District was required by law to obtain Parents’ “knowing waiver” of a legal requirement to use Student’s native language for the assessments. 55. The school district must select and administer assessment materials in the pupil’s native language and in the language and form most likely to yield accurate information on what the pupil knows and can do academically, developmentally, and functionally, unless not feasible. Under the federal regulations, “native language” is defined, with respect to a pupil who is of limited proficiency in English, as the language of the parents except that, in all direct contact with the child, including evaluation, it means the language normally used by the child in the home or learning environment. 56. Parents were both born in a country in the Middle East, and speak a dialect of the Pashto language with each other in their home.10 All assessors used English as the language in which they assessed Student. Parents were present during the assessments and did not object to the absence of a Pashto interpreter, or request the assessors to use the Pashto language at any time during the assessments. 10 Father is fluent in English and testified during the hearing in the English language without an interpreter. At Student’s request, OAH provided a Pashto interpreter for Mother when she testified and Mother’s testimony was translated from Pashto to English by the interpreter. Mother’s demeanor and other evidence established that Mother speaks and understands some English, although to what extent was not determined. 57. In addition, Parents delayed signing the September 2012 assessment plan until the end of January 2013, and negotiated the requirement of their presence at the assessments. Had Parents wanted a Pashto interpreter to be present for them or for Student during each assessment, they had ample opportunity to include that request in their negotiations, but did not do so. 58. Father testified that Parents were instructed not to interrupt the assessment sessions or disclose their presence to explain why they did not challenge the use of English only. However, this does not credibly support their claim because the first assessment, in English, occurred on February 8, 2013 (academic), and the next assessments occurred on March 14 (psychoeducational), and 15, 2013 (academic and speech and language). Even if Mother remained silent during the February 8, 2013 academic assessment, Parents knew it was conducted only in English. They had more than a month thereafter to complain and renegotiate to obtain assessments in Pashto prior to the rest of the assessments and did not do so. Hence, Parents’ claim that use of Pashto was one of their conditions of assessment is not credible. 59. As found in more detail below, the assessors’ choice of English was reasonable and substantially related to Student’s IEP’s and historical records. In addition, English is the language in which Student is best assessed to yield accurate information. 60. First, at hearing, Student presented Kaiser’s 2009 autism assessment of her, which showed she was assessed by Kaiser using the English language. The Kaiser report noted that Student’s parents “speak English and Pashto at home, but speak primarily English with [Student].” Kaiser administered the assessment tests in the language Parents reported using most with Student, the English language. 61. Second, on transferring into the District from the Early Intensive program in 2009, Father consented to District’s assessment plan and District’s 2009 comprehensive, initial special education assessment of Student was conducted in English, with no objection from Parents or request for an interpreter. Student’s initial IEP, dated November 18, 2009, contained two receptive language goals, two expressive language goals, and nine pages of BEST Early Intensive goals, most of which were communication-based goals, and all of which used the English language. 62. Mr. Bruno was credible and persuasive in his testimony that both Father and Mother spoke to Student in English when he was present in their home. Parents agreed that BEST’s services including all discrete trial training and classroom tutoring would be delivered to Student in English. Both Mr. Bruno and Ms. Farris established at hearing that they consistently implemented all of Student’s Early Intensive goals in the English language. 63. Additionally, District’s IEPs did not provide Student with an interpreter for any of her classes, which were all taught in English. Although Student’s IEP’s indicated that that English was not Student’s native language, she was to be instructed in English. The August 2012, and January 2013 IEP’s both expressly provided that Student’s language of instruction was English. Father consented to the IEP’s and Parents did not object to this provision at any IEP team meeting. 64. The assessors established that they reviewed Student’s cumulative school records prior to their assessments. Among those records, the assessors reviewed Student’s 2012 test scores on the CELDT. On the CELDT, Student’s primary language at home was listed as Pashto. In the English language testing areas of listening and speaking, Student scored at the Intermediate level of proficiency; in the areas of reading and writing, she scored at the Early Intermediate level; and her overall score was at the Intermediate level of proficiency. These scores indicated that Student was more than adequately proficient in the English language and helped each assessor decide to assess Student using the English language. 65. Dr. Elgen provided persuasive testimony that her review of Student’s school records showed that the English language is Student’s dominant language in the school environment. Dr. Elgen obtained a State multi-subject teaching credential in 1990, an administrative credential in 2000, a doctorate in education in 2004, and a cross cultural language development credential. She has extensive experience as a teacher and administrator in English Learner programs, including leading an English language advisory committee to assist parents with various primary languages assimilate into the English language culture in the District. Dr. Elgen’s testimony was accordingly given great weight. While the CELDT identified Student’s primary language as Pashto, Dr. Elgen established that “primary” was a descriptor that targeted Student’s language for the beginning years of her life when learning to speak in the home. In contrast, Dr. Elgen credibly established that Student’s dominant language, in which she is most proficient in her academic and functional performance at school, is English. All of Student’s classroom instruction since preschool has been in English. Other District witnesses corroborated this testimony. For example, Ms. Hardy would have asked the District to provide a Pashto interpreter and would have conducted the speech and language assessment in both Pashto and English had Student’s command of English been at a lower level. 66. Since Mother and Father speak Pashto to each other in the home, it is understandable that Student speaks Pashto and Father’s testimony in that regard is credible. However, District was not required to use Pashto, the native language of Parents, because Student normally spoke English at an intermediately proficient level in the learning environment, if not at home. The evidence established that Student’s dominant language for purposes of the 2013 triennial assessment is English, the language used in her daily instruction and in the daily implementation of all of her academic and functional goals and instruction at school. Student did not point to any particular assessment result whose outcome is in doubt occasioned by the use of the English language during the assessments. Therefore, the assessments are not invalidated on this ground. 67. Student contends that the District’s academic assessment must be invalidated in its entirety, and/or the testimony of the assessor, Kathi Ellis, be stricken from the record because the District did not produce the publisher’s test protocols for the Reading, Writing, and Math assessment tests at hearing. 68. The procedural safeguards of the Individuals with Disabilities Education Improvement Act (IDEA) and California law include the right of the parents to access their child’s educational records. Educational records of a pupil are generally defined as documents which contain information directly related to the pupil and are maintained in the normal course of the business of the local educational agency. In connection with a special education due process hearing, the parents have the right to examine and receive copies of all educational records pertaining to their child within five business days of their request. 69. In California, the school district must produce copyrighted written assessment test protocols as part of a pupil’s requested educational records as a fair use exception to the federal copyright laws, to the extent the protocols have personally identifiable information pertaining to the pupil written on them. 70. Parties are required by law to deliver to each other copies of all documents intended to be presented at hearing at least five business days prior to the start of the hearing. District complied with these requirements and produced two binders of documents. In Volume One, District presented the publisher’s test protocols for the Math test (Exhibit D22); the Reading test (Exhibit D23); and the Writing test (Exhibit D24), and these documents were admitted into evidence. These documents were personally identifiable to Student because they had Student’s name, date of birth, date of testing, age, school, name of the assessor, and other information on them; and they included the test instructions, test questions, Student’s answers as recorded by Ms. Ellis, and the scoring results entered by Ms. Ellis. The scoring results included: a raw score, an age equivalent score, a grade equivalent score, a percentile ranking, and a standardized score (or quotient). 11 Newport-Mesa Unified School District v. State of California Department of Education (2005) 371 F.Supp.2d 1170. 72. Ms. Ellis was entitled, based on her experience and training, to utilize and rely on the publisher’s scoring formulas and instructions in grading Student’s academic assessment results and her testimony that she followed the publisher’s instructions was credible. Moreover, she was required by law to follow those formulas and instructions in order to validate the assessments. The actual scoring results are included in the disclosed exhibits. Student did not establish that the publisher’s separate scoring protocols contained any of her personally identifiable information or were directly tied to her in any fashion to entitle them to be excepted from copyright protection. 73. Student did not present any evidence that Parents requested to inspect her educational records maintained by the District at any time prior to hearing. Thus, District was under no obligation to produce them and had no legal obligation to produce documents other than those it selected for use at hearing. Even if she had, there is no evidence that the academic scoring protocols were educational records. Nor did Student subpoena the District to produce testing documents that were not contained within the four corners of the District’s exhibit binders.12 Moreover, Student did not raise any genuine question as to the validity of the reported academic scores. Based on the foregoing, District’s academic assessment was not invalidated because the publisher’s copyright-protected scoring protocols were not produced at hearing. In addition, Student’s motion to strike Ms. Ellis’ testimony regarding the academic assessments is denied. 12 In Volume Two of District’s exhibits, District produced copies of Student’s test protocols for the standardized assessment tests used by Ms. Harris in connection with her psychoeducational assessment, containing Student’s personally identifiable information, teacher and parent rating forms, and Ms. Harris’ scoring results. Student did not question or challenge Ms. Harris’ scores to demand to see the publisher’s scoring protocols for any of those assessments. Student had no interest in Volume Two, District withdrew the binder at the end of the hearing, and none of its exhibits were marked for identification or moved into evidence. 74. Student claims that the District’s 2013 triennial assessment must be invalidated in its entirety because District failed to follow legal requirements to disclose to Parents pertinent information about their rights to an independent educational evaluation (IEE), including where to obtain an IEE and its agency criteria for such an evaluation. 75. If a parent disagrees with an assessment obtained by the pubic local education agency (LEA), the parent has the right to obtain an IEE at public expense under certain circumstances. However, whether District violated the IEE laws is not at issue in this proceeding, and is not relevant to the discrete issue whether the District’s assessments complied with the law. Student, represented by legal counsel, has the right to file a request for a due process hearing to present any claims she may have and has not done so. 76. In this case, District presented its triennial assessment reports to Father for the first time at the April 11, 2013 IEP team meeting. During the meeting, Father orally disagreed with the assessment results, including the psychoeducational assessment, and disagreed with the recommendations of other team members that Student was no longer eligible for special education. Father refused to sign his name as a participant attending the IEP team meeting, and did not provide any written consent for the IEPs offer to exit Student from special education and related services. 77. At that IEP team meeting, Father orally requested an IEE based on his disagreement with the assessment tests and results. In response, Ms. Hedin showed Father the IEE section of the Stanislaus SELPA Notice of Procedural Safeguards provided to him at the beginning of the meeting. A few days after the meeting, District scheduled another IEP team meeting for April 24, 2013, to discuss Parents’ concerns and clarify the family’s request for an IEE. That notice did not in any way suggest that District was interested in reconsidering the determination of ineligibility or the offer to exit Student from special education. On April 19, 2013, Father confirmed in an email that Parents intended to attend, but on April 24, 2013, Father notified the District that Mother was sick and he was unable to attend the IEP team meeting in order to care for her and their two children. 78. On May 2, 2013, District mailed a prior written notice letter signed by Dr. Elgen and addressed to Parents, along with another copy of the Notice of Procedural Safeguards.13 In the letter, Dr. Elgen explained that the District denied Father’s request for an IEE and intended to file a request for a due process hearing to defend its triennial assessment. On May 9, 2013, District filed its complaint with OAH. Since District chose to request a hearing to defend its assessments rather than fund an IEE, District’s failure to disclose IEE criteria, if any, is a not relevant defense to the validity of its assessments. 13 The law requires the District to provide prior written notice of its decisions to propose or refuse to propose special education services. 79. Even assuming District’s failure to timely disclose IEE information to Parents were found to constitute a procedural violation, the violation would not rise to the level of invalidating District’s assessments. Student did not present any evidence that she suffered a loss of educational benefit or a denial of FAPE as a result of such a procedural violation because District did not elect to fund an IEE. In addition, since Student is not eligible for special education, she is no longer entitled to a FAPE. 80. Student also argued that the District was required by law to fund an IEE and present the results of such an independent, “second opinion” at another IEP team meeting as a prerequisite to recommending Student’s exit from special education or filing a request for a due process hearing. The law simply does not require this. Instead, the law required the District to fund an IEE or file a request for a hearing after Father requested the IEE “without unnecessary delay.” In fact, District filed its due process request with OAH within a week of issuing its prior written notice to Parents, and that letter was issued within three weeks of Father’s request for an IEE at the April 11, 2013 IEP team meeting. Based on the foregoing, District timely elected to file a request for due process rather than fund an IEE and any noncompliance with the IEE requirements did not invalidate its assessments. 81. Based on the above findings, District’s triennial assessment of Student complied with all applicable legal requirements and appropriately assessed Student in all areas related to her suspected disabilities. Student’s defenses and objections did not establish that any portion of the triennial assessment was materially flawed or invalidated. 82. Once made eligible for special education and related services, a pupil may not generally be found ineligible without either revocation of parental consent or an IEP team meeting in connection with the school district’s determination and offer to exit the pupil from the program. Procedural issues may invalidate an IEP determination. 83. Student contends that the April 11, 2013 IEP team meeting denied her a FAPE because Parents requested copies of the triennial assessment reports at least a week prior to the team meeting and District’s failure to comply with this request significantly impeded Parents’ rights to meaningfully participate in the IEP decision-making process. 84. The parents of a child with a disability are critical members of the IEP team. The parents must receive adequate notice and opportunity to attend the meeting. When a pupil is assessed, a written assessment report must be provided to the parents and the IEP team is required to discuss the assessment report at the IEP team meeting, required to be held within 60 days of consent for assessment. Although the law does not require the delivery of information and reports to the parents in advance of an IEP team meeting, the educational agency should accommodate the parents’ needs on an individual basis. 85. Student’s prior IEP team meetings are relevant to evaluate the April 2013 IEP team meeting. As found above, Student’s first IEP team meeting was held on November 5, and 18, 2009. 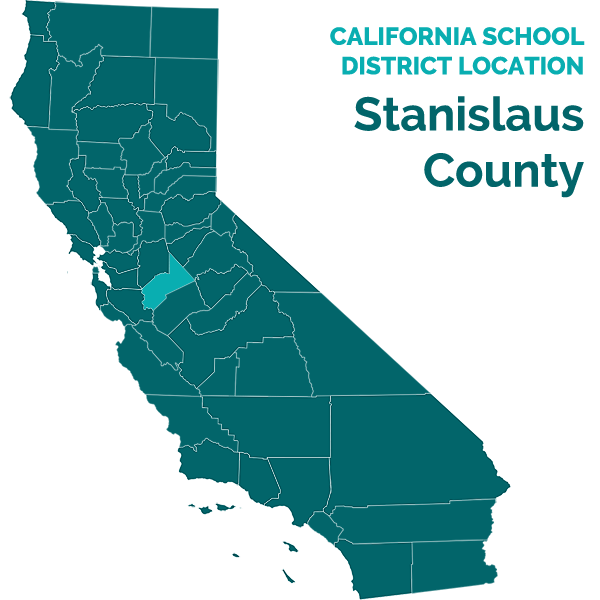 District’s initial assessment report was a Stanislaus County interdisciplinary report dated October 22, 2009. Mother and Father both attended those meetings, along with representatives from Valley Mountain, BEST, Stanislaus SELPA, and Stanislaus County Office of Education. The IEP team meetings were held in the English language. Because Father spoke both English and Pashto, he was available to translate for Mother if needed and no Pashto interpreter was requested or present. 86. Father’s testimony was uncontroverted that he requested to receive the reports a week before the IEP meeting and the public agencies complied with that request. In addition, BEST issued a quarterly report dated October 21, 2009, detailing Student’s progress in her Early Intensive program and goals.14 Parents’ advance receipt of the reports enabled them to review them with each other in Pashto and English at home and prepare to meaningfully participate in the IEP team meeting. Father tended to be gone at least two weeks of most months for his job. While the evidence suggested Mother spoke and understood more English than she appeared to at hearing, her native language was Pashto and she required some translation to understand oral and written English. Father also credibly established that the public agencies and BEST thereafter provided Parents with copies of relevant reports in advance of other IEP team meetings prior to the April 2013 meeting. Parents did not ask for any of the reports to be translated from English to Pashto because Father was sufficiently proficient in English to perform that function. 14 BEST’s reports did not align with the school year but with Student’s birthday instead, and its year thus ran from November of each year to November of the next year. 87. For the spring 2013 triennial IEP team meeting, Father contacted Ms. Hedin in advance of the meeting and inquired where the assessment reports were because Parents needed to review them in advance of the meeting. Ms. Hedin told Father the reports had not been prepared yet. Since the actual assessments had been completed earlier, in February and March 2013, there was no explanation at hearing as to why the reports were not prepared and available earlier. Father was required to travel for his job, and the IEP team meeting was continued from a date not in the record to April 11, 2013. At no time prior to the IEP team meeting did District or BEST send copies of the assessment reports to Parents so they could review them in Pashto and English prior to the meeting. Parents were aware during this time that both District and BEST staff were reporting significant progress for Student. Review of the assessment reports in advance of the meeting was reasonably necessary due to the language impediments and complexity of the assessment tests and results and Parents’ request for this accommodation was not based on mere preference. 15 In addition, this seems to be an inefficient policy to the extent that a second IEP team meeting could be predicted and avoided. 89. Father attended the April 11, 2013 IEP team meeting without having received copies of any of the assessment and progress reports in advance as he had requested, and without having had an opportunity to review the reports individually or with his wife. Father immediately objected and refused to sign the IEP participation sign-in page and someone wrote in the signature line: “refused to sign due to not getting assessment reports 1 week in advance.” The IEP team meeting lasted over three hours and was facilitated by Ms. Hedin from the Stanislaus SELPA. As each assessor presented his or her information, Ms. Hedin handed that report to Father for the first time, and he followed along in the report as they explained the results. The team then reviewed the eligibility criteria for Autistic-Like-Behaviors, Specific Learning Disability, and Speech and Language Impairment. 90. Neither District nor the Stanislaus SELPA offered to continue the IEP team meeting to another date in order to provide Parents an opportunity to review the assessment reports prior to reaching the discussion and determination of Student’s eligibility for special education. District had accommodated Parents’ past requests for advance review of reports, and offered no explanation at hearing, other than its generic policy, for its decision not to honor Parents’ request. 91. Based on the foregoing, District committed a procedural violation when it did not honor Parents’ requested accommodation and continue the IEP team meeting to permit Parents to review the assessment reports. Father did not have the opportunity to translate or convey the meaning and significance of the reports in the Pashto language to Student’s Mother, prior to having the IEP team consider those reports and determine Student’s eligibility or lack thereof for continued special education services. These actions significantly impeded Parents’ rights to have the opportunity to participate in the IEP process in a meaningful way. 92. As previously noted, procedural violations do not require a finding of a denial of a FAPE unless the violation results in a loss of educational opportunity. Here, although District’s actions impeded Parents’ rights to participate in the decision-making process regarding Student’s then-existing IEP, she did not suffer a loss of educational opportunity to which she was then entitled. Father was able to and did express his opinions and concerns about Student’s unique needs related to her autism at the IEP team meeting and again at hearing. Although Mother did not attend the IEP team meeting, she also testified at hearing and expressed her concerns about exiting Student from special education. 93. Regardless, any procedural violation related to the Parents’ need for additional time to understand the reports and communicate their concerns based on enhanced understanding of the reports was cured by the time of the hearing. Had the evidence shown that the District’s assessments were materially flawed, or that the IEP team members incorrectly considered the assessment information, in light of the Parents’ testimony and other evidence adduced at hearing, then the procedural violation would have resulted in a denial of FAPE. However, the evidence at hearing established that the assessments generally met legal requirements, and to the extent that they did not, the shortcomings did not limit Parents’ participation in the process. Most importantly, Student is no longer eligible for special education and is therefore not entitled to a FAPE under special education law. Therefore District’s procedural violation did not deny Student a FAPE. 94. The determination of eligibility for special education is not made by a school administrator, medical doctor, or psychologist, but is made in the first instance by the pupil’s IEP team. Whether a pupil remains eligible on an annual or triennial basis depends, first, on whether the pupil still has an impairment as defined by any of the statutory eligibility categories, and, second, on whether that impairment still adversely impacts the pupil’s academic or functional performance in school enough to require special education. 95. A pupil is eligible for special education under the category of Speech and Language Impairment if the pupil has difficulty understanding or using spoken language under specified criteria, and that difficulty both adversely affects her educational performance and cannot be corrected without special education services. The pupil’s communication deficits must meet the criteria for one of the following: (a) an articulation disorder, (b) an abnormal voice, (c) a fluency disorder, or (d) a language disorder. 96. For a language disorder: the pupil must be shown to have an expressive or receptive language disorder by scoring at least 1.5 standard deviations below the mean, or below the seventh percentile, for his or her chronological age or developmental level, on two or more standardized tests in one or more of the following areas of language development: morphology, syntax, semantics, or pragmatics. 97. Student was eligible for special education under the secondary category of Speech and Language Impairment even though it was mislabeled in her initial and subsequent IEP’s. This eligibility was based on the criteria for a language disorder. The 2009 assessment found that Student, at the age of two years and 11months old, obtained profoundly low scores on the Preschool Language Scales tests, including a two percentile rating on the auditory comprehension subscale (with a standard score of 69), and a three percentile rating on the expressive communication subscale (with a standard score of 72). District began providing Student with annual expressive and receptive language goals in her IEP’s in conjunction with BEST’s behavior and communication-based goals. 16 Ms. Hardy opined at hearing that Student would likely have scored higher on the Language Development test but was tiring and “fidgety” after a long assessment session. However, this opinion seemed speculative. 99. However, the seventh percentile is a mandatory component for this educational disability category and Student did not score at least one point five (1.5) standard deviations below the mean score or in the seventh percentile or less for her chronological or developmental age on any of the standardized tests administered. Student’s low scores at the ninth percentile, while of concern, do not meet this requirement. Ms. Hardy persuasively established that Student did not meet the criteria for any statutory Speech and Language Impairment disorder, and therefore did not qualify for speech and language eligibility or services. 100. Ms. Hardy did make recommendations which may be implemented in the general education setting, including providing a language-rich environment, and opportunities for Student to summarize information and make inferences about information she has heard; providing encouragement; modeling appropriate grammar for Student in a positive way; allowing Student an opportunity to correct without penalty; checking for her understanding during conversation and reading tasks; and challenging Student with more difficult word meanings to continue her vocabulary growth. District would be well advised to follow these recommendations. 101. Eligibility for special education in the category of Specific Learning Disability requires proof of the existence of two things. First, the pupil must have a disorder in one or more of the basic psychological processes involved in understanding or in using language, spoken or written, which may manifest itself in the imperfect ability to listen, think, speak, read, write, spell, or perform mathematical calculations. The eligibility requirements use as examples conditions such as perceptual disabilities, brain injury, minimal brain dysfunction, dyslexia, and developmental aphasia. Second, eligibility requires a showing that there is a severe discrepancy between intellectual ability and achievement in one or more academic areas. The existence of such a discrepancy must be determined by a complicated formula or an alternative, documented IEP team decision. 102. As set forth in Factual Findings 11 through 31, the evidence established that Student was never eligible for special education under this category. Her assessments have consistently shown that she performs academically at or above her cognitive abilities. Therefore, Student is not eligible for special education on this basis and District’s records in this regard are incorrect. 103. A pupil is eligible for special education under the criteria for Autistic-Like Behaviors if the pupil is found to exhibit any combination of autistic-like behaviors, including but not limited to: (1) an inability to use oral language for appropriate communication; (2) a history of extreme withdrawal or relating to people inappropriately and continued impairment in social interaction from infancy through early childhood; (3) an obsession to maintain sameness; (4) extreme preoccupation with objects or inappropriate use of objects or both; (5) extreme resistance to controls; (6) peculiar motoric mannerisms and motility patterns; and/or (7) self-stimulating, ritualistic behavior. The pupil must also establish that the disorder adversely affects his or her educational performance to the extent that special education is required. 104. It is undisputed that Student was medically diagnosed with autism in early 2009. It is also undisputed that her autistic-like behaviors adversely affected her educational performance and qualified her for special education in November 2009, when she was three years old. The IEP team at the November 2009 meeting, including Parents, agreed that Student displayed autism-related behaviors that interfered with her access to educational benefit and qualified under all seven autistic-like criteria and had significantly delayed skills, including communication skills that were delayed by least a year below her age level. 106. Inability to use language for appropriate oral communication: All IEP team members except for Father agreed that Student no longer exhibited any qualifying language deficits and that Student was able to use language for appropriate oral communication. Ms. Harris testified that Student communicated orally in an appropriate manner both on the playground and in the classroom with her peers and teachers in a class of about 30 kindergarteners. Student was seen to initiate conversations, and respond orally with others over a one-hour period of observation. However, the record is not clear whether Ms. Harris was close enough to actually hear the content of Student’s conversations. Mrs. Halsey, who saw Student daily in class and three or more times a week at recess, concluded that Student had age-appropriate social skills, was not withdrawn or isolated, and was able to engage in on-topic conversations and follow the kindergarten class routines. On the other hand, Student’s current first grade teacher, Lisa Lok, reported that Student was “shy,” and did not speak a lot. However, at the time of the hearing, school had only been in session a few weeks. 107. The triennial psychoeducational assessment showed Student has an auditory processing deficit. Student scored in the low average range on the Auditory Processing test, showing a lower than average ability compared to her peers in deriving information, using inferences, and making deductions. In addition, she had a significantly low score in the auditory reasoning subtest which showed a severe weakness in understanding inferences and abstractions in spoken language. Student therefore requires enhanced visual aids to supplement oral instruction and activities. Ms. Harris explained at hearing that she did not give Student’s scores on the Auditory Processing test great weight based on several factors. First, this was the last assessment test administered to Student after a lengthy assessment session and Student had shown signs of fatigue. Second, on the Wechsler cognitive assessment, Student obtained scores of average on the comprehension subtest of the verbal reasoning index. However, Ms. Harris’ reasoning was not persuasive on this point as she nevertheless recommended visual aids. In addition, the Wechsler comprehension subtest involved Student answering questions “based on an understanding of general principles and social situations.” The auditory reasoning subtest involved understanding “inferences and abstractions and . . . [coming] to logical conclusions” in spoken language. Ms. Harris failed to explain why the two tests could be comparable or in what manner. Further, in evaluating Student’s auditory processing weaknesses, Ms. Harris did not mention consideration of Student’s speech and language assessment results. 108. On the speech and language assessment, Student scored in the average range on both the Expressive and Receptive tests. On the Language Development test, however, Student scored in the average range on only one subtest, and scored in a significantly low range, at the ninth percentile, on most of the other subtests. This meant that 91 percent of Student’s peers had better oral vocabulary, syntactic understanding, sentence imitation, and morphological completion than Student in their communication. While the levels of these deficits do not meet the criteria for a speech and language disorder, as found below, they are significant and warrant concern. 109. BEST’s July 2013 update report showed that Student met most of her goals relating to communication. BEST facilitated play dates with Student and a peer during the school day and found that Student successfully engaged in conversations, including initiating a greeting, initiating conversations, responding appropriately to questions or statements from a peer, at or above 80 percent of opportunities. The data showed Student required “little to no prompting to engage in appropriate play and social interaction skills during these play dates.” In contrast, however, Student did not meet her goal in the area of reciprocal play and still required some prompting. Nevertheless, she engaged in a rate of cooperative play (60 percent) higher than that for a typically developing kindergarten peer (50 percent). 110. Overall, Student’s triennial assessment showed that she no longer displays most of the communication deficits she had shown three years earlier. Student has developed an ability to use language to orally communicate in an appropriate fashion in many settings in the classroom and in the community. While Student still displays some deficits as found above, there is no evidence that she has required significant prompting or intervention from either a BEST tutor or a teacher since the fall of 2012. Therefore, Student no longer displays sufficient deficits in the area of appropriate oral communication to meet this criterion. 111. History of extreme withdrawal or relating to people inappropriately and continued impairment in social interaction: District’s 2009 IEP found that Student qualified under this criterion, meaning she had a history of these characteristics. That history is undisputed. By April 2013, all IEP team members except for Father agreed that Student no longer exhibited any qualifying behaviors of continued impairment in her social interactions at school. Ms. Harris observed Student interact naturally with others, including initiating conversations with both boys and girls, and noted that, during the psychoeducational assessment, Student made good eye contact and was attentive. Student’s kindergarten teacher, Mrs. Halsey, consistently rated Student’s behaviors in the average range, including eye contact and socialization. On the other hand, Father reported in the assessment surveys that Student avoided eye contact, and engaged in extreme withdrawal behaviors. However, the autistic criteria must be observed across settings, in the school environment, and not just in the home. In addition, Father admitted to the IEP team that he rated Student based on her past autistic behaviors and not on her current behaviors. BEST data showed Student still displayed weaknesses in initiating and engaging in reciprocal play with other children as she was only successful (52 percent of the time in April 2013, and 48 percent of the time in July 2013). However, this isolated area of concern does not constitute significant evidence of autistic-related impairment in Student’s social interactions at school. As found above, the evidence demonstrated Student is successfully engaging in appropriate social interactions in the classroom and on the playground. Therefore, the evidence did not establish that Student’s social interaction skills were impaired to meet this criterion. 112. Obsession to maintain sameness: All IEP team members except for Father agreed that Student no longer exhibited any qualifying obsessions for sameness and was “very flexible.” In 2009, Kaiser’s autism assessment found Parents’ reported that Student had difficulty with changes in routine and would tantrum, for example, if there was a change in direction of travel. By April 2013, Student had met all of BEST’s goals that involved transition such as following the teacher’s directions. Ms. Harris observed Student transition to and from various activities at school with willingness and cooperation and there was no evidence that Student had any difficulties in transitions. Parents did not establish that Student displays any behaviors meeting this criterion. 113. Preoccupation with objects or inappropriate use of objects or both: All IEP team members, except for Father, agreed that Student no longer exhibited any qualifying preoccupation with objects. On the Vineland survey of Student’s adaptive behavior skills, Father rated Student’s behaviors as maladaptive, claiming she was obsessed with objects or activities such as repeating words or being preoccupied with mechanical objects “often.” However, all District and BEST witnesses who testified were persuasive that Student did not display these behaviors in the school setting. During the April 2013 IEP team meeting, Father admitted he had answered many of the survey assessment questions based on Student’s past behaviors instead of her present behaviors. In contrast, Mrs. Halsey reported most of Student’s behaviors in the average range. Father explained he was concerned about Student’s future years and did not want anyone to underestimate the history of her difficulties related to autism. The weight of the evidence established that Student did not display this criterion to any significant degree in the school setting. 114. Extreme resistance to controls: All IEP team members, including Father, agreed that Student no longer exhibited any qualifying extreme resistance to controls. The evidence established that Student was, overall, a happy, cooperative, and flexible pupil. Student therefore did not meet this criterion. 115. Peculiar motoric mannerisms and motility patterns: In addition, at the April 2013 IEP team meeting, all IEP team members, including Father, agreed that Student no longer exhibited any qualifying peculiar or odd motor movement. However, Father rated Student’s motor skills in the low range on the behavioral survey and described habits such as odd hand movements and holding a pen incorrectly. Prior assessments had shown Student’s fine motor skills to be below average and her gross motor skills to be in the average range, noting that she ran with her toes turned inward. In addition, at hearing, both Mother and Father expressed concerns that when Student is placed in the family’s automobile in a car seat, Student repeatedly shakes in a rocking motion instead of sitting quietly. However, the District and BEST witnesses who testified did not see these behaviors in the school setting, except for Student’s toe-turning on one foot when she walked. Rocking motions are autism-related behaviors. However, since Student did not engage in them during the school day, they do not meet this criterion. 116. As for the toe turning, Student presented evidence that in 2013, she was diagnosed by Children’s Hospital of Central California with an orthopedic hip/pelvic imbalance of the femur called “femoral anteversion,” which results in young children walking “pigeon-toed.” This orthopedic diagnosis is consistent with the evidence of Student’s occasional walking gait and sitting position in school.17 However, there was a secondary diagnosis of “sensory integration system,” which Father testified was the physician’s indication that the imbalance could be related to sensory problems associated with autism. The physician did not testify and the evidence did not otherwise support any finding that Student’s problem was a motoric mannerism related to autism. Student also presented evidence that in 2011, Kaiser noted a diagnosis that Student had “metatarsus adductus.” This condition is usually diagnosed at birth and causes the baby’s foot to turn inward. Here, however, the 2009 Kaiser assessment report did not note any such medical diagnosis at Student’s birth or in her prior medical history. That diagnosis is accordingly not given any weight. The evidence therefore established that Student did not meet the criterion of an autistic-like motoric mannerism in the school setting. 17 One of Student’s doctors prescribed that she should not be allowed to sit in a “w” fashion with the feet flared out because of this condition. When Father made District aware of this diagnosis and prescription, both District and BEST cooperated. 117. Self-stimulating, ritualistic behaviors: All IEP team members except for Father agreed that Student no longer exhibited any qualifying self-stimulating or ritualistic behaviors in the school environment, and the IEP notes stated that those Father reported were “mild.” Both Mother and Father emphasized that Student continued to make rocking or thrashing movements when placed in her car seat. Aside from the car seat behaviors, Father reported in the behavior surveys that Student frequently engaged in spinning. However, there was no evidence that either of these behaviors occurred during the school day and were therefore not exhibited across settings, in the school environment as well as at home. Accordingly, Student did not meet this criterion. 118. Based on the foregoing, Student did not meet any of the criteria for determining her eligibility based on Autistic-Like Behaviors. Even if Student’s oral communication deficits were found to be significant enough to meet that criterion, the law requires that there must be a combination of factors, and not just one factor in isolation. Because Student did not meet any other autistic criteria manifested in the school setting, she therefore no longer meets the first prong of the eligibility criteria to qualify for special education under this category. 119. Specially designed instruction is required when the pupil’s educational needs cannot be met with modification of the regular instruction program. Even if the evidence established that Student has displayed a combination of autistic-related behaviors under the criteria for Autistic-Like Behaviors, the next question would be whether she still requires specialized instruction and related services in order to receive educational benefit. 120. Mr. Bruno was emphatic and persuasive that Student no longer requires a behavioral tutor to be present with her during the school day to access her education at a level on par with other typically developing peers in her class. His recommended fading of Student’s known tutors between January and May 2013, was conservative and cautious. Mr. Bruno is familiar with the legal criteria for eligibility under Autistic-Like Behaviors. He reviewed those criteria in light of Student’s performance on her goals, and was persuasive that Student does not meet any of the criteria. She has met most of her goals and has not required any active supports for over a year. 122. However, the clear weight of the evidence established Student no longer requires specialized instruction, tutoring, discrete trial training, behavioral goals, behavioral supports, or one-to-one aides focused on her autistic-related behaviors in order to access and obtain educational benefit in the school environment, either in class, at recess, or in any other campus activities. There is substantial evidence in the record to establish that Student has not required the specialized services of BEST’s behavioral program and tutors since shortly after she began kindergarten in the fall of 2012. Both of Student’s teachers established that the BEST tutors have done little or nothing in their classrooms to support Student. Instead, for the most part, the tutors have helped the classroom teacher with general class preparation tasks, read a book, observed Student, and taken data on her abilities to function independently. In Student’s case, both Mr. Bruno and Ms. Farris began recommending to the IEP team, in October 2012, the reduction of Student’s tutor services as of January 2013. By May 2013, the data clearly showed Student performed consistently without tutor support. 123. Mr. Bruno recommends fading BEST’s behavioral supports and tutors within 15 to 30 days. Since BEST is recommending a fade out period, as the nonpublic agency with expertise in delivering specialized autistic-related services, this recommendation should be followed in the absence of evidence that Student requires any longer or shorter period. Mr. Bruno also recommends that Parents stay in close touch with Student’s teachers. In addition, because Mother has reported to him that she has difficulties helping Student with her homework due to her own limited ability to read English, Mr. Bruno recommends some type of after-school homework support for Student. 124. Student’s progress over the past four years has been remarkable. It appears to be a testament to her strength, resilience and cognitive abilities, and the quality of services provided by Valley Mountain, BEST, the Stanislaus SELPA, and the District that many of her severe behaviors and symptoms related to her primary autistic disability have significantly diminished. However, it is equally undisputed that Student still has a medical diagnosis of autism and the District does not claim Student is free from impairment. 125. Based on the foregoing, Student is no longer eligible for special education under the category of Autistic-Like Behaviors because she does not meet any combination of the requisite criteria. Even if she met at least two criteria, the behaviors do not adversely impact her access to, or receipt of educational benefit and she therefore does not require special education and related services. Because Student has a medical disorder on the autism spectrum, it is possible she may meet the criteria for eligibility under this category in the future as she ages and the educational curriculum advances. District would be advised to monitor her closely and not permit any significant regression to occur before reconsidering her eligibility. Further, Student is no longer eligible for special education under any other category at issue in this case. 1. Under Schaffer v. Weast (2005) 546 U.S. 49 [126 S.Ct. 528, 163 L.Ed.2d 387], the party who filed the request for due process has the burden of persuasion at the due process hearing. In this case, the District filed for a due process hearing and therefore bears the burden of persuasion. 7. 34 C.F.R.§ 300.29 defines “native language” as follows: when used with respect to a pupil who is identified with limited proficiency in English, native language means either: (1) the language normally used by the parents of a minor; or (2) for the minor, the language normally used in direct contact with the pupil in the home or learning environment. Issue 1: Was District’s 2013 triennial assessment of Student in compliance with all legal requirements and did it appropriately assess her in all areas related to her suspected disabilities? 14. Overall, as set forth in Factual Findings 11 through 81, and Legal Conclusions 2 through 12, District’s triennial psychoeducational, academic, and speech and language assessments complied with the law and appropriately assessed Student in all areas related to her suspected disabilities of Autistic-Like Behaviors and Speech and Language Impairment, as well as the suspected disability of Specific Learning Disability, since it was so designated on Student’s past IEP’s. The evidence established that all of the assessment tests were conducted by qualified assessor, were valid and reliable for the purposes selected, were conducted according to the publisher’s protocols, and were selected and administered so as to not be racially or culturally discriminatory or negatively impacted by environmental, cultural, or economic disadvantage. 15. Although District’s psychoeducational assessment complied with the law, District committed a procedural violation because the assessor, school psychologist Ms. Harris, did not provide her opinion or recommendation regarding whether Student may need special education, and the basis of that determination under any category of eligibility, in her written report. The written report failed to expressly address and analyze any of the eligibility criteria and relate the assessment results to those criteria and denied the IEP team, including Parents, that written information. However, this procedural violation did not result in a denial of FAPE. Ms. Harris provided her opinion at the IEP team meeting and at hearing, it was included in the IEP, and the violation was cured. More importantly, since Student is no longer eligible for special education, she did not suffer a loss of educational benefit. Under the authority of the Ninth Circuit, as cited above, Student therefore was not denied a FAPE. 16. District’s academic assessment complied with the law and appropriately assessed Student’s academic performance using standardized assessment tools, in spite of some deficiencies. The assessor, resource specialist Ms. Ellis, did not provide her opinion regarding Student’s then-present classroom academic performance in the written report and failed to include her analysis comparing Student’s performance on various academic tests in the report. However, the deficits did not rise to the level of a procedural violation of law because there is no requirement that the written report must address anything other than the results of the standardized assessment tests, even though Ms. Ellis was required to report on Student’s then-present levels of performance at the IEP team meeting. In addition, since Student is no longer eligible for special education, she did not suffer a loss of educational benefit, and such a violation would not have denied her a FAPE. 17. District’s speech and language assessment complied with all legal requirements, appropriately assessed Student’s communication needs, and the written report addressed Student’s eligibility under this category as well as the basis for that determination. 21. California Code of Regulations, title 5, section 3030 includes a list of conditions that may qualify a pupil as an individual with exceptional needs and thereby entitle the pupil to special education if required by “the degree of the pupil’s impairment.” Thus, there are many children who have varying ranges of weaknesses, deficits, areas in need of improvement, and disability who do not qualify for special education because they do not meet the narrow categories specified by law for this federally funded program, including the requirement that the pupil’s instruction or services cannot be provided with modification of the regular school program. (d) Language Disorder: the pupil has an expressive or receptive language disorder, in pertinent part, when he or she scores at least 1.5 standard deviations below the mean, or below the seventh percentile, for his or her chronological age or developmental level, on two or more standardized tests in one or more of the following areas of language development: morphology, syntax, semantics, or pragmatics. 24. Pursuant to California Code of Regulations, title 5, section 3030, subdivision (g), a pupil meets the first prong of the eligibility criteria for Autistic-Like Behaviors if he or she exhibits any combination of the following autistic-like behaviors, including but not limited to: (1) an inability to use oral language for appropriate communication; (2) a history of extreme withdrawal or relating to people inappropriately and continued impairment in social interaction from infancy through early childhood; (3) an obsession to maintain sameness; (4) extreme preoccupation with objects or inappropriate use of objects or both; (5) extreme resistance to controls; (6) displays peculiar motoric mannerisms and motility patterns; and (7) self-stimulating, ritualistic behavior. Issue 2: Beginning with the April 11, 2013 IEP team meeting, is Student no longer eligible for special education and related services? 26. As set forth in Factual Findings 11 through 14, and 101 and 102, Student never was eligible for special education under the category of Specific Learning Disability and that designation in Student’s IEP’s was and is incorrect. 27. As set forth in Factual Findings 11 through 14, 39 through 47, and 95 through 100, Student is no longer eligible for special education under the category of Speech and Language Impairment because the 2013 triennial assessment did not result in scores at or below the seventh percentile (or 1.5 standard deviations below the mean) as required to establish a language disorder. Student scored in the average range on the Expressive, Receptive, and Pragmatic communication assessment tests. While her scores on the Language Development test showed areas of significant concern, they did not meet the narrow requirements for a special education disability. 28. As set forth in Factual Findings 15 through 26, 39 through 53, and 103 through 118, Student is no longer eligible for special education under the category of Autistic-Like Behaviors. Her behaviors no longer meet the requisite criteria relating to an inability to use oral language for appropriate communication, continued impairment in social interaction, an obsession to maintain sameness, extreme preoccupation with or use of objects, extreme resistance to controls, motoric mannerisms, or self-stimulating, ritualistic behavior. While Student still has areas of weakness and deficit, particularly related to auditory processing, oral communication, and reciprocal play that should be monitored by the District, Student has not demonstrated any significant autistic-like behaviors in the school setting for over a year. Even if Student did exhibit such behaviors at school, there was no evidence that the behaviors have impeded her access to, or receipt of educational benefit, or that she requires specialized instruction and behavioral supports in order to obtain educational benefit. In these circumstances, in light of the period of time over which Student’s behaviors have been cautiously monitored, Student may be exited from special education. 2. Student is no longer eligible for special education and related services. 3.District has the right to terminate Student’s IEP no later than January 1, 2014. District shall immediately begin to terminate Student’s operative IEP by implementing a fade back of Student’s tutors from BEST, to be completed prior to or by the end of the District’s 2013 school days before the winter break. The length of this fade back is within the sole discretion of BEST. Education Code section 56507, subdivision (d), requires that the hearing decision indicate the extent to which each party has prevailed on each issue heard and decided. District prevailed on all issues in this case.